Things to do in Dubai – See the best things to do in Dubai! One of the best and most amazing things to do in Dubai is dune bashing or desert riding. 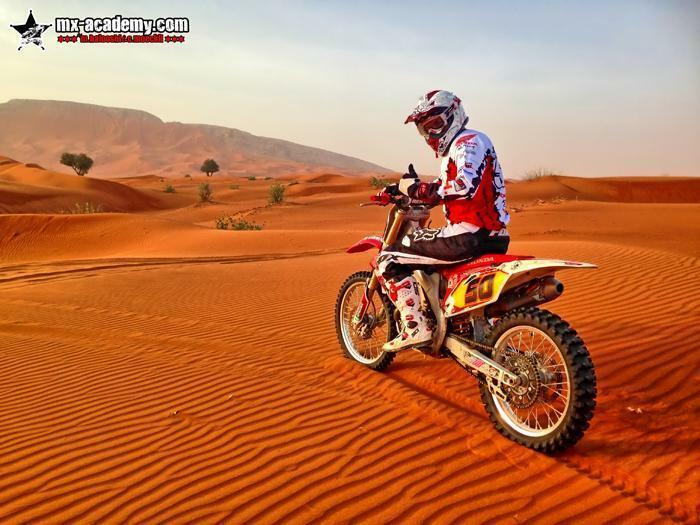 MX-Academy offers you desert experience with former offroad champions, best gear and bikes. The desert in Dubai you should visit and experience while you spend your time in Dubai, one adventure you will remember for a long time. To prepare yourself for this trip, you can take some dirt-bike lessons to get all skills you need. Things to do in Dubai - dune bashing - if you dont have any motorbike experience, you will need about 3 days of training to be prepared for this. If you have already a lot of motorcycle experience, you will need at least 1 day of sand training. Surfing through the dunes of Dubai, one of the greatest things to do in Dubai! More interesting things to do in Dubai you can see when clicking on the red link.